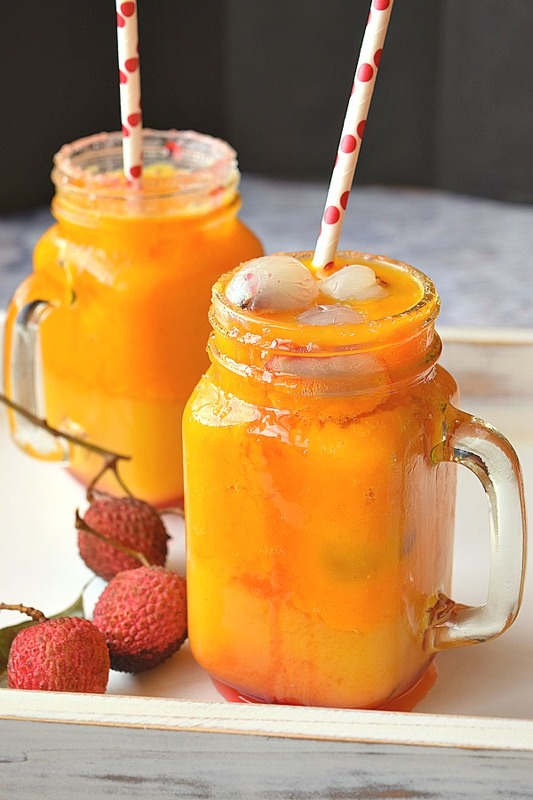 Refreshing Summer drink /Mocktail which can be enjoyed by all - Mango Lychee cooler /Mocktail,is an Non-Alcoholic drink full of goodness of fruits,no added sugar! I had been to Lonavala during the Summer school break,and saw these fresh lychees being sold at almost every corner of the city. I got so excited looking at the red vibrant fruit everywhere,that I bought more than 2 Pounds of the fruit. Then comes the most important part of who will eat all these lychees? Then, the thought came to my mind that my favorite Mango is also in season,so before it vanishes why not make another recipe and enjoy. Whatever name can be given to this recipe,call it Mocktail/Cooler/Punch, still the final drink is very delicious and refreshing. 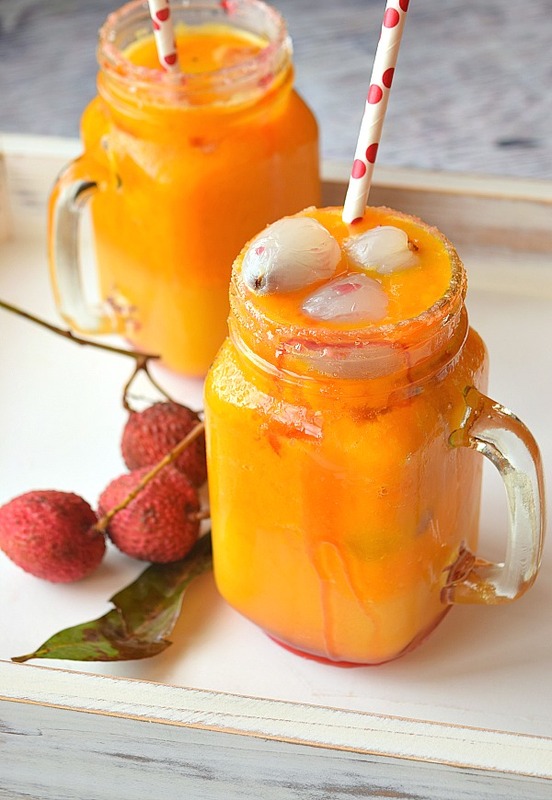 Refreshing Summer mocktail -Mango Lychee drink,is so refreshing and healthy with no added sugar. I used Mangoes to extract fresh Mango juice. You can use store bought too,but there the sugar will be added. I have used thick juice instead of thin,as per my personal preference. To extract Lychee juice,I have taken 30 lychees,peeled and pitted and ground them with ginger,salt and pepper powder. Add little drinking water,pulse once and strain to extract juice. 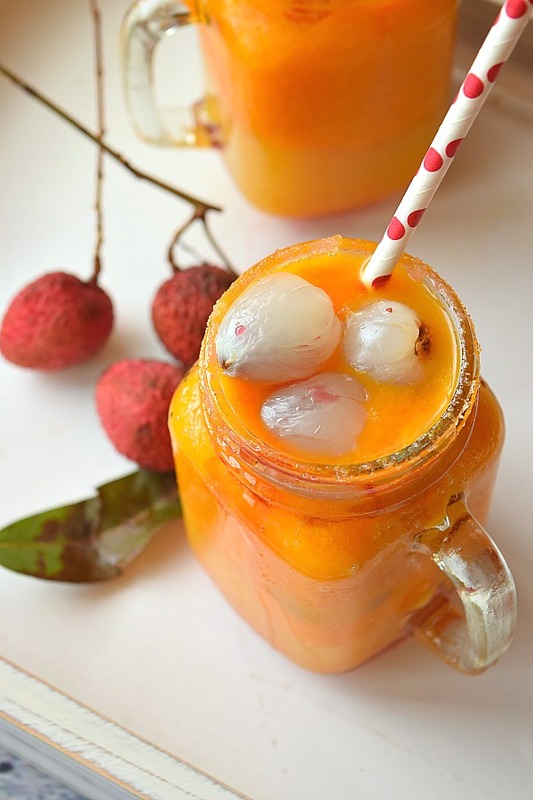 Add mango juice,lychee juice,ice cubes (divided),few lychees and roohafza(optional). If you liked this recipe then save it. The mocktail sounds so tasty an refreshing. I wish I could find fresh lychee here in the USA. Thanks for sharing! I have only tried lychee a few times but liked them a lot. 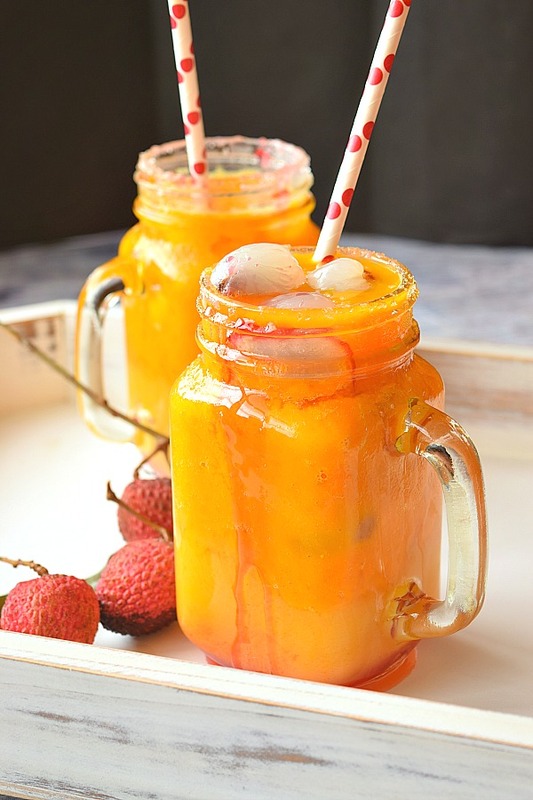 I can just imagine how delicious your mango lychee mocktail is! Beautiful photos and a refreshing drink for sure!! This is literally my spirit drink! I LOVE both mango and lychee drinks, but I've never combined the two. Now this I have to try! Such an amazing summer drink with some authentic ingredients! Perfect too cool off this summer! Yummy! This is right down my alley. I love mango cocktails and the combination with lychee sounds absolutely wonderful. I also love the presentation in the rustic glasses. A winner for sure. I've heard of lychee but haven't tried it. It sounds delicious. This is a gorgeous mocktail. The colors are so bright and vibrant. It sounds so refreshing and perfect for summer! This mocktail looks so good and refreshing. We love cold drinks to get us through the summer so I will be trying this one out soon. This is the best combination ever, I can drink it all day long! This looks so refreshing for a hot day! 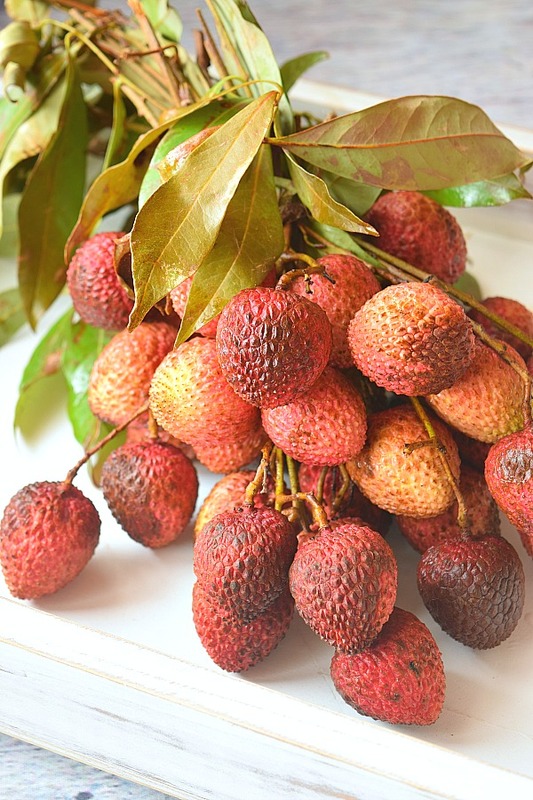 I've always wondered what lychees taste like! I wish you could send me one! They look refreshing!